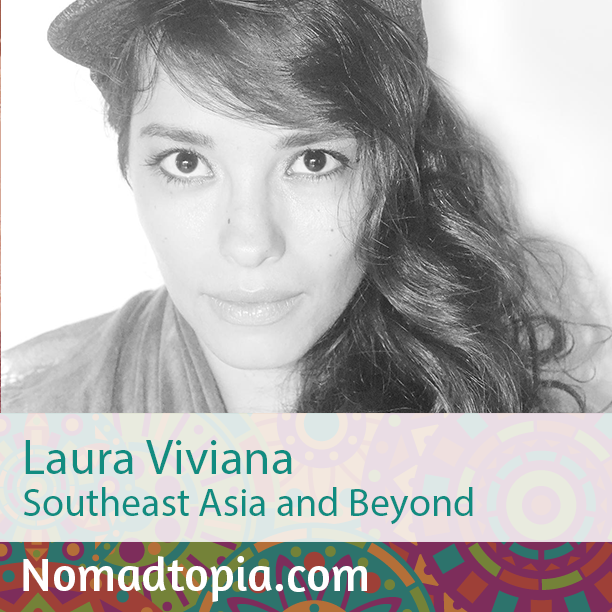 Since she quit her job on Wall Street a few years ago, Laura’s been splitting her time between New York and Southeast Asia, and is also starting to scope out a third location to use as a base. Get even more of my conversation with Laura! Laura and I share the inside scoop on how we handle cell phone plans and use other tools like Skype, Google Voice, and What’s App to stay in touch and nurture relationships no matter where we are. Download now for just 99 cents! Riding through the middle of the remote Bali countryside on my motorbike alone, jamming out to trip-hop and feeling freer and happier than I ever have in my life. This lifestyle is exciting and rich…but it’s also very very hard at first. Honestly? The freer you want to be, the more you have to plan. For me to be the master of my own experience, I really have to crack a whip. You can’t make money, travel hard, play hard and maintain your close relationships with friends and family by doing things on a whim. My life is often very planned out in order for me to have ultimate freedom. This was very surprising for me in the beginning.